ein kommunikationsprojekt des künstlers mit dem damaligen österreichischen finanzminister dr. hannes androsch, in dem eine diskussion konträrer kunst- und finanzpolitischer positionen und definitionen geführt wurde. dieser fiktive diskurs wurde real im finanzministerium unter anwesenheit des ministers vorgestellt. das aufgenommene video zeigte eine visuelle überlagerung der porträts der beiden protagonisten (der finanzminister als statisches porträt, der künstler sprechend bewegt. der akustische teil der konfrontation beinhaltete einerseits die position des finanzministers als vertreter politisch-ökonomischer interessen – festgeschrieben im aus dem off gelesenen gesetzestext UStG, IX. umsätze von künstlern, § 10 abs.2 z. 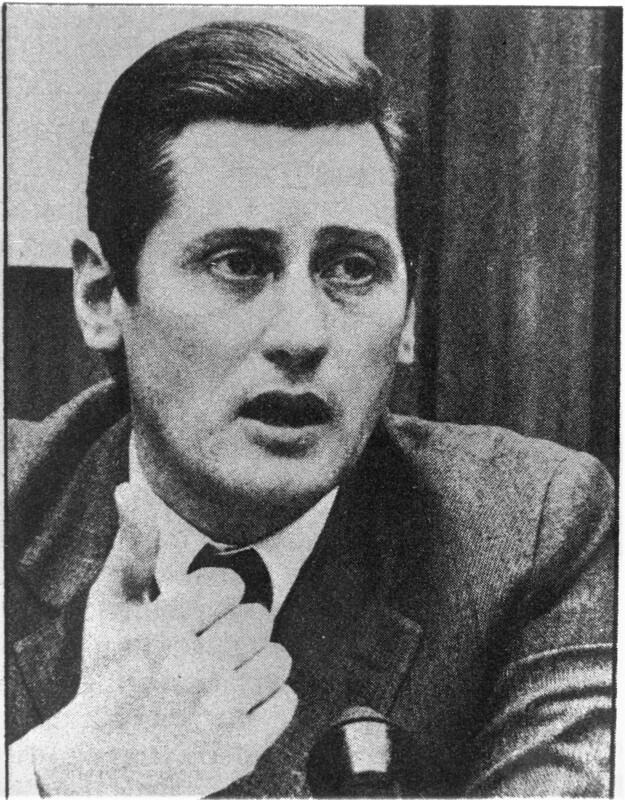 8, UStG 1972 – , und andererseits die dazu konträren interessen des künstlers, als finanztechnisch nicht anerkannter produzenten, kommunikator und präsentator von gesellschaftlich relevanten bildungsinhalten, -formaten und innovationen. 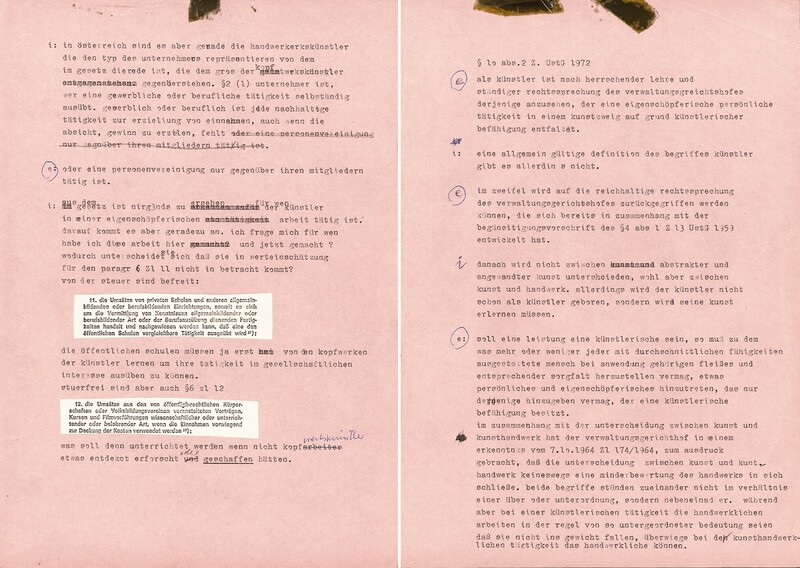 a communications project by the artist with the then austrian finance minister dr. hannes androsch, including a discussion of opposing art and economic policy positions and definitions. this fictitious discourse was actually presented at the finance ministry in the presence of the minister. the video recording showed a visual overlapping of the portraits of the two protagonists (the finance minister as a static portrait, the artist talking). the acoustic section of the confrontation contains on the one hand the finance minister’s position as a representative of political economic interests – prescribed in the legal text UStG, IX. umsätze von künstlern, § 10 abs.2 z. 8, UStG 1972, read from off camera, and on the other side the opposing interests of the artist unrecognised in fiscal terms as a producer, communicator, presenter of socially relevant educational content, formats and innovations.